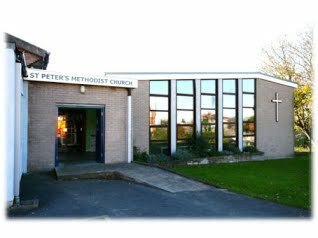 Welcome to St Peter’s church webpage. We are the Methodist Church in Brislington, Bristol, situated at the junction of School Road and Allison Road. We run and host weekday activities which are supported by our weekly Sunday worship. We believe that Christian communities are built on relationships so we focus on our relationship with God in and through Jesus, our relationships with each other as church and our relationships in the wider community and the world. These relationships are based on mutual respect, acceptance, care, concern and finally, last but not least, encouragement. We welcome all in the life of our church. Should you wish to have further information about any of our activities then please do not hesitate to contact us. Bristol Concert Wind Band 7.30 p.m.